This loaf is dairy free and gluten free. It will last in the fridge for up to 5 days, or it can be frozen. This is a moist and filling loaf which makes it ideal for the lunch box or afternoon tea. It is delicious spread with butter. Main ingredients: Eggs, sugar, oil, vanilla, banana, Healtheries simple baking mix. These are so delicious that you will need to hide them from the rest of the family. They keep for up to a week in an airtight container. But they won’t last that long! Finding this recipe was a Godsend when my daughter had to give up gluten. 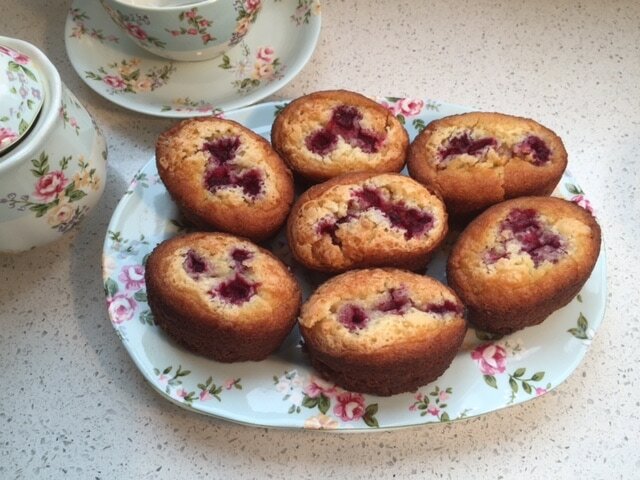 ​Main ingredients: Ground almonds, icing sugar, gluten free flour, egg whites, butter, lemon rind and raspberries. These large and chocolatey biscuits are a winner. The best way to store them is to divide the batch and freeze portions of them, otherwise you will eat them too quickly! However, they will keep in the pantry for a week to 10 days in an airtight container. Main ingredients: Butter, brown sugar, eggs, gluten free flour, coconut, ground almonds, and chocolate chips. No need to miss out on a delicious afghan, you can’t tell the difference with these rich and chocolatey biscuits . The cornflakes give them a delicious crunch. Iced with chocolate icing and an optional walnut on top. Ingredients: Butter, sugar, vanilla, plain GF flour, cocoa, cornflakes, icing sugar, walnuts. This is a real treat for our gluten free friends. 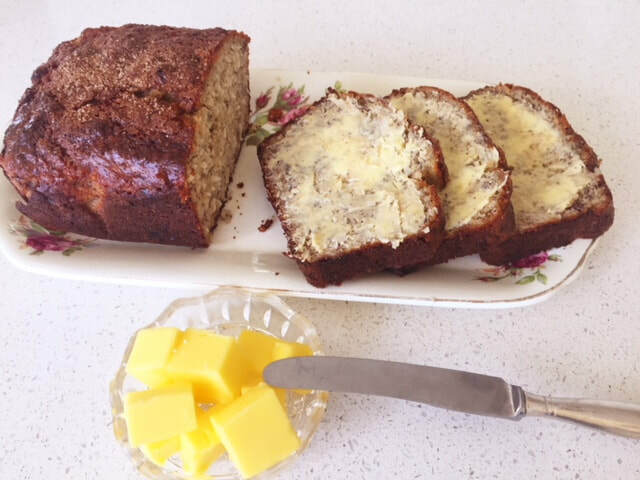 It is so good that you would not be able to taste that it is gluten free; it is a firm family favourite. This brownie freezes so well that I always have a secret supply in my freezer. Main ingredients: Butter, cocoa, eggs, sugar, chocolate, GF plain flour. This loaf uses dates as the main natural sweetener, instead of refined sugar, and has the extra goodness of grated carrot, banana and cranberries. I like to slice it and then freeze it, so it can go into lunch boxes easily. It can also be made dairy free. ​Main ingredients: Dates, butter or coconut oil, honey, vanilla, banana, carrots, egg, cranberries, GF plain flour and mixed spice. This is my son’s favourite chocolate cake recipe that has been converted to accommodate a gluten free person in the house. He didn’t even notice the difference and is more than happy to devour this fantastic chocolate cake! Main ingredients: Healtheries baking mix, sugar, cocoa powder, baking soda, salt, milk, butter, eggs, vanilla extract. Crammed with raspberries and chunks of white chocolate. This slice is scrumptious served on it's own or it would make a splendid pudding served warm with ice cream or custard. 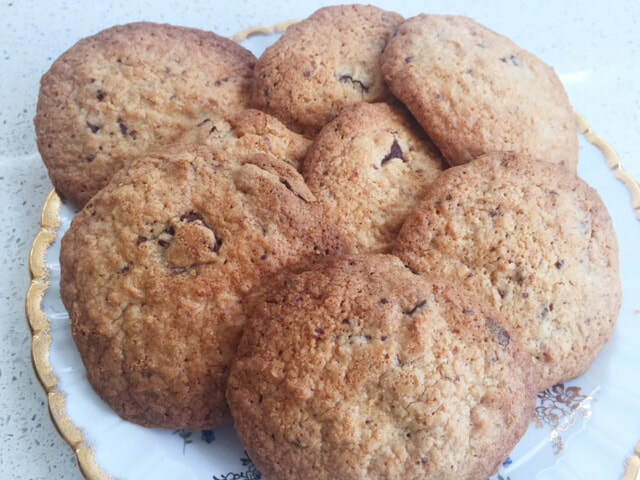 It has a mixture of GF flour, almond and coconut which gives it a nutty flavour. These are an ideal savoury snack or lunch option. Great served with soup at the weekend.It is very handy to have a batch of these in your freezer. They are best reheated in the oven. My kids enjoy them in their lunch box, filled with extra cheese and pickle. ​We acknowledge that this is expensive, but the main cost is in the mixed deluxe nuts and seeds. This is incredibly nutritious and packed with goodness. Angie always has this in her pantry and it is a great snack to keep you going. A small piece is so satisfying and you can have it with no guilt. It is able to be frozen but also keeps in the pantry for up to 2 weeks. Main ingredients: Mixed deluxe nuts (Macadamia, almonds, cashews, hazel, pecan, walnuts) coconut, sunflower seeds, pumpkin seeds, sesame seeds, cranberries, sultanas, butter, honey and brown sugar. This loaf has no refined sugars in it. It is naturally sweetened by the bananas. It is filled with the goodness of almond meal, banana and coconut. Being high in protein, makes it a sustaining and healthy choice. This loaf can also be made dairy free and gluten free. It freezes well, whole or pre-cut. It has a sprinkle of brown sugar and cinnamon on the top (optional). Main ingredients: Butter or coconut oil, bananas, coconut, almond meal, flour, vanilla, eggs, salt, baking soda, cinnamon and brown sugar. 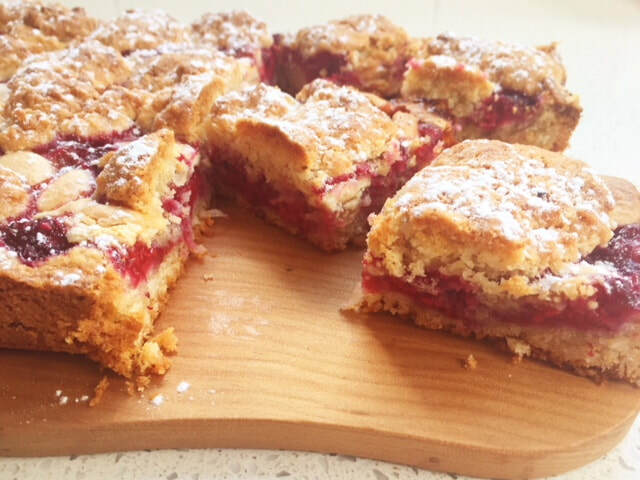 This is an amazingly light and fluffy cake, I have adapted my normal recipe and I am truly delighted with the outcome. It still has all the flavour and texture of the classic carrot cake. This is a generous size cake and it keeps well and even improves in flavour by the second day. 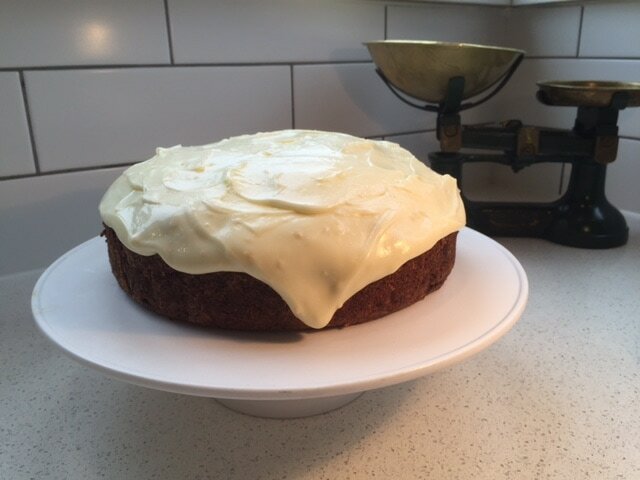 It is topped with lemon cream cheese frosting. Main ingredients: Grapeseed oil, sugar, eggs, almond meal, GF plain flour, salt, cinnamon, mixed spice, ginger, carrot, orange juice, sultanas and walnuts, cream cheese, butter, lemon and icing sugar. All products on this website have been made in my kitchen at home. The kitchen has been approved by the Auckland City Council.